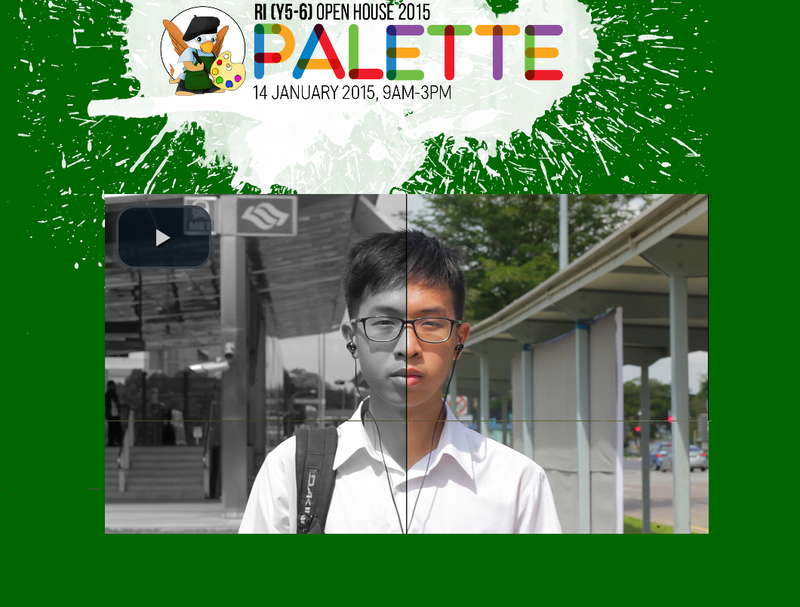 Watch the Raffles Palette video here! Why Raffles Palette? A palette symbolises diversity — although each colour may not stand out individually, they can come together to form a painting, which represents unity, inclusiveness and the fact that all colours are equally important. The tapestry that is created by the colours mixing also signifies our vibrant school life. Choosing the right JC for you can be a difficult task — it may be the gateway to university, but also offers many more opportunities than academia alone. Raffles Palette 2015 will showcase the myriad of choices available for you, our future Rafflesian, be it in terms of sports, the arts, or other talents you may want to develop. 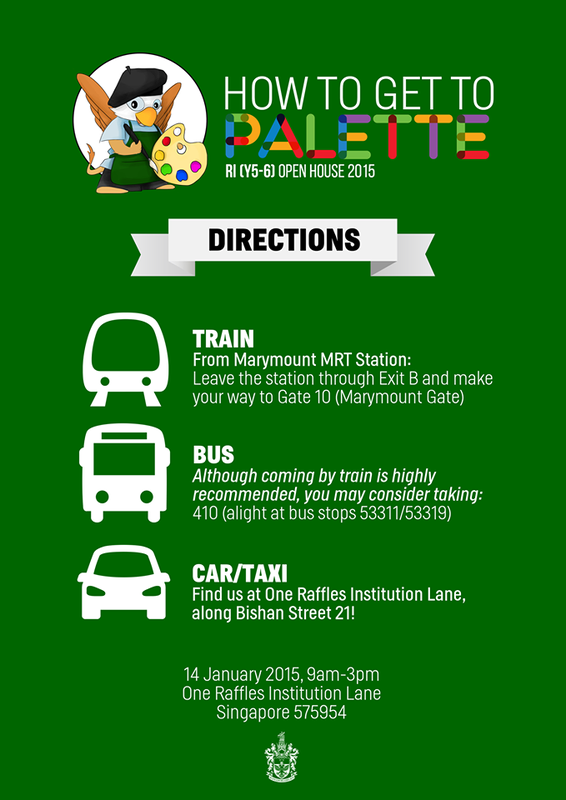 Open House will be held tomorrow, 14th January, from 9am to 3pm. 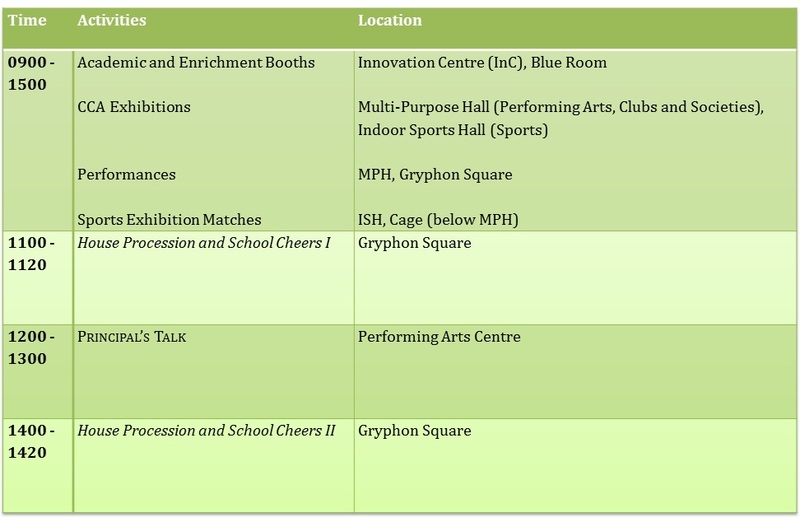 Majority of the activities are concentrated in one area — the Multi-Purpose Hall (MPH), Indoor Sports Hall (ISH), Gryphon Square, Innovation Centre, and the Cage, as seen from the map below. In line with our palette theme, visitors who visit all 5 areas and get their palettes stamped will also receive a special prize. The programme can be found below, and will also be included in your goodie bag. 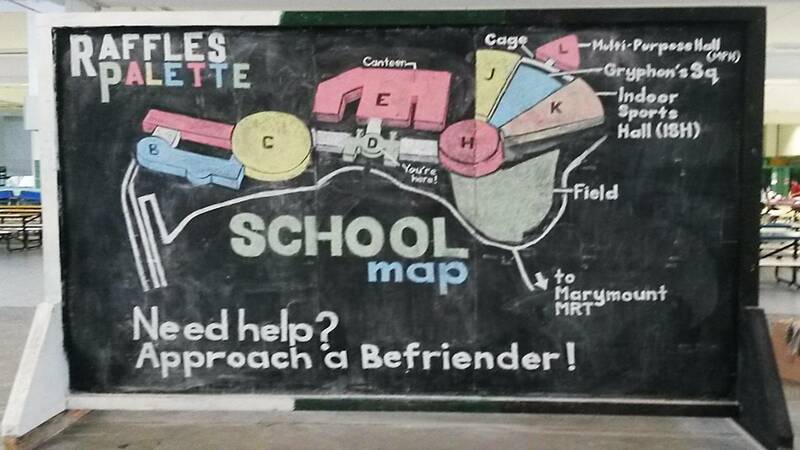 Alternatively, just approach any Befriender for any information you may need. We hope to see you at Open House! ETA: An earlier version of this article erroneously stated that the goodie bags will contain Domino’s vouchers. It has since been amended to reflect that the bags contain Marble Slab Creamery vouchers.